Sticker set for decorating aquariums. Designed to match the Decoart 2 in 1 poster theme. 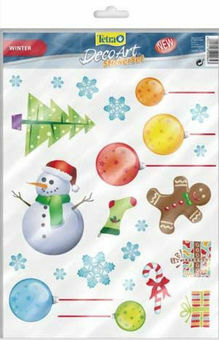 Self-adhesive stickers that can be used several times. Can be stuck on the posters on on the tank.